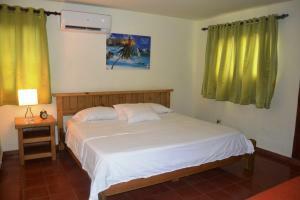 ﻿ Best Price on Hotel Casa Bonita Sosua in Cabarete + Reviews! Located in Sosúa, Hotel Casa Bonita Sosua has an outdoor swimming pool. Among the various facilities of this property are a garden, a terrace and a bar. 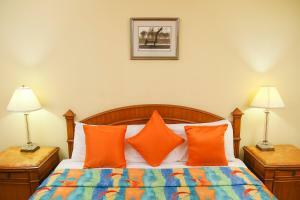 The air-conditioned rooms provide a pool view and come with a closet and free WiFi. All rooms in the hotel are equipped with a flat-screen TV. Rooms contain a private bathroom. Guest rooms will provide guests with a fridge. A continental breakfast is served daily at the property. Guests at Hotel Casa Bonita Sosua will be able to enjoy activities in and around Sosúa, like cycling. Cabarete is 8 miles from the accommodation. 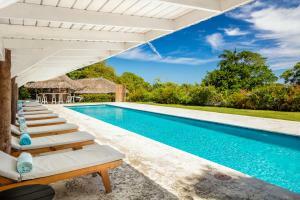 The nearest airport is Gregorio Luperón International Airport, 6 miles from the property. You can also pay by PayPal. Please contact the property in advance if you need more information. Please use the contact details on your booking confirmation. Guests are required to show a photo ID and credit card upon check-in. Please note that all Special Requests are subject to availability and additional charges may apply. Please inform Hotel Casa Bonita Sosua of your expected arrival time in advance. You can use the Special Requests box when booking, or contact the property directly using the contact details in your confirmation.